David E. Wilson practices exclusively in the field of Construction Law, representing subcontractors and suppliers, general contractors and construction managers, owners, design professionals, insurers and sureties on a wide range of public and private construction projects, including schools; fire and police stations; courthouses; tunnels, roads and bridges; hospitals and medical buildings; office buildings and tenant fit-out; retail centers and stores, restaurants and nightclubs; and university classroom and laboratory buildings, dormitories and physical education facilities. He assists clients with preparation, review and negotiation of all forms of construction documents, including prime contracts, design contracts, subcontracts, supplier agreements, joint venture agreements, bonds, releases and lien waivers; and with preparation, prosecution and defense of claims related to bidding and procurement, payment and performance bonds, mechanic's liens, construction and design defects, change orders and extra work, delay and lost productivity, differing site conditions, contract administration, termination, and insurance coverage in state and federal courts, administrative proceedings, arbitrations and mediations. Mr. Wilson is also a Massachusetts certified mediator, and a member of the Real Estate Bar Association Panel of Neutrals. He has lectured and participated in numerous classes and seminars on construction law with organizations such as Massachusetts Continuing Legal Education, Suffolk University Law School, Massachusetts Bar Association, Boston Bar Association and Real Estate Bar Association, and with various trade groups, including the Associated Subcontractors of Massachusetts for which the firm is general counsel. He has also drafted significant legislative bills pertinent to construction, a number of which have been enacted into law. 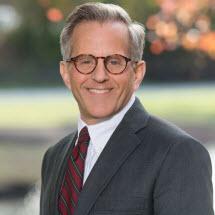 Mr. Wilson is an active member of the Boston Bar Association, a former co-chair of its Committee on Construction Law, a former co-chair of its Real Estate Section, and a former co-chair and present member of its Education Committee. Mr. Wilson is also active in a number of charitable organizations. He is President of Team Heart, Inc., an International Non-Governmental Organization which travels each year to Rwanda to perform life-saving open heart surgeries while helping the country develop its own cardiac surgery program; he is a Director of The Circuit Theatre Company, a talented group of young people that has become one of the most innovative companies in Boston; and he is a long time participant in the Pan Mass Challenge, a 200 mile cycle ride that has raised over $400 million for the Jimmy Fund of the Dana Farber Cancer Institute. Mr. Wilson received a J.D. in 1983 from Boston University School of Law, and a A.B. in 1977 from Brown University. Negotiated with Government of Rwanda for their direct purchasing of medical supplies for Team Heart, Inc., a US based project to develop cardiac surgery in Rwanda. Negotiated binding agreement with Government of Rwanda for development of the country's first Cardiac Care hospital by Team Heart, Inc.